What would your perfect case look like? It's a question I've been pondering ever since I got into water-cooling. I’ve tended to scrutinise every new case I see in terms of how much room there is for pumps, reservoirs and more importantly, radiators. If there wasn’t a viable location for a radiator - for example where two 120mm fans are placed together or a panel big enough for a section to be cut out for a radiator - then I'd lose interest straight away. 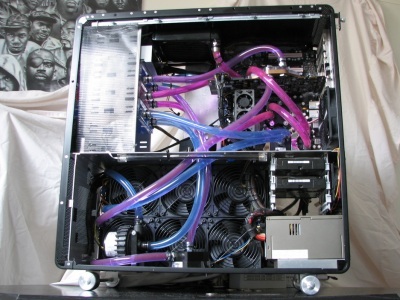 My viewpoint has changed somewhat now that I’m reviewing all kinds of cases and with good reason - not every one of our readers is into liquid cooling. Besides, good air cooling is a must in any case, even if you're water-cooling, as you still need to maintain a good degree of airflow to cool hardware such as hard disk drives and hot spots on the motherboard. Add to this the fact that such a small amount of people think about water-cooling their PC's and it's a surprise that we end up with cases like the Silvertsone TJ-07 or Lian Li V2000 series at all. In fact tests that we at Custom PC carried out last year in our case labs test showed that out of the box, the TJ-07 is less adept at keeping your PC cool than, say, the Antec Twelve Hundred. 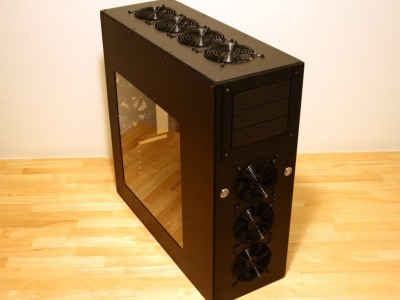 Surely there must be a way to design a case with the same awesome air cooling of the Antec Twelve Hundred but that could also rival the TJ-07s and V2000s of this world in terms of space for water-cooling? I thought I'd found it in the Mountain Mods Pinnacle 24. 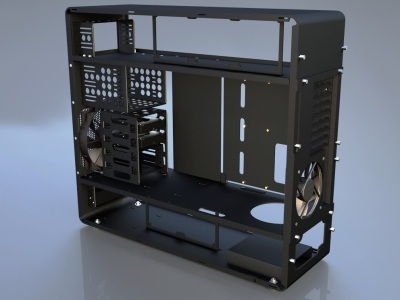 It can accomodate a quad 120mm rad in the roof and a triple 120mm rad in the front without modding but with so many fan slots (another two 120mm fans are at the rear) it could also keep a high end air cooled PC nice and chilly. Unfortunately, the lack of features compared to a 'normal' case meant it can be quite ungainly to work with. Lack of 5.25in bays was a major issue too and I've since found the distance between them and the motherboard tray was so great that many cables simply didn't reach. In addition, it lacked a feature the TJ-07 and V2000 have, which is to have a single compartment for the radiators - if this is present, then cool air can be drawn in and expelled straight out of the case which is ideal for maximum cooling. The Lian Li V2000 is large but unlike the Pinnacle 24, it has plenty of features you'd expect from a PC case. 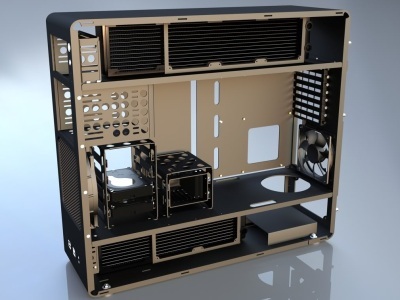 I've recently acquired a second-hand Lian Li V2000 which I hope should allow me to make use of both of my 360mm radiators in a similar design to disruptfam's case over at the Xtremesystems forums (shown above). However something else caught my eye while I was there. 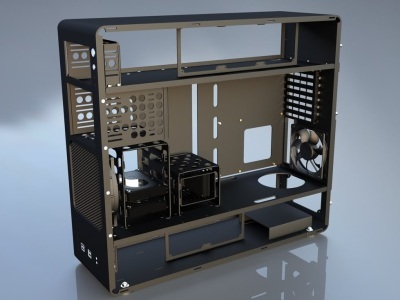 A user called Mick64 uploaded some case renders of a design he's been working on. The first thing I noticed is that it has not one but two of the compartments I spoke about earlier each with a dedicated mount for a radiator. There appear to be a healthy five external 5.25in bays and four internal 3.5in bays too. The design is intriguing to say the least and very reminiscent of the TJ-07, although despite what appears to be a fairly potent 200mm fan in the front, the only exhaust is a single 120mm fan which I don't consider to be enough. Of course from a water-cooling point of view, the case is uber, but bearing in mind my original quest for a case that combined the best of both worlds, it's a case with real potential rather than being the finished article. It may never see the light of day of course but just when we though the limits of case design had all but been reached something like this pops up! 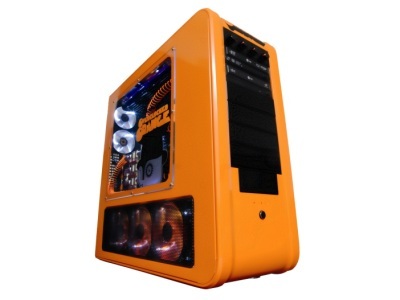 There's clearly some significant improvements that can be made to modern case design. The question is, which company will be the one to get it right?